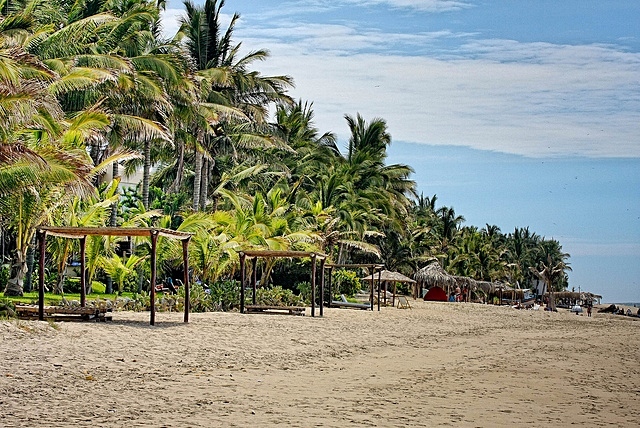 Mancora Peru is the perfect seaside getaway! Whether you’re local or a tourist, life focuses on the sea and beautiful beaches. Getting to Mancora from Alamor Ecuador involved another long, complicated bus ride. The original plan was taking a bus route from Alamor through Machala and Piura with the usual gazillion stops in between. The hotel owner in Alamor heard me complaining about the frequent stops and long bus rides and said there was a faster route via Huaquillas. He said I would need a guide to tell me what to do, and luckily there another traveler at the bus station agreed to help. Luis Rene Gonzalez was my friendly guide. On the way to Huaquillas he talked about Ecuador and his six-member Ecuadorian band – Revivencias Alamor. Click on their name to see them on YouTube (takes them a minute to get tuned up) – muy buen sonido! 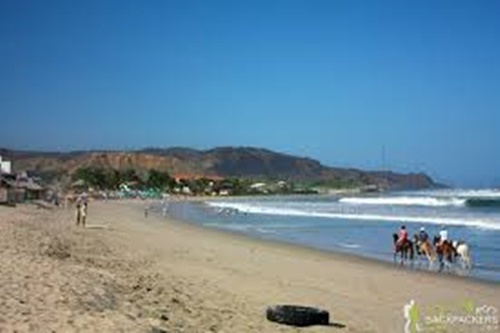 The faster route to Mancora involved taking a bus from Alamor to Huaquillas, completely bypassing Machala and Piura. 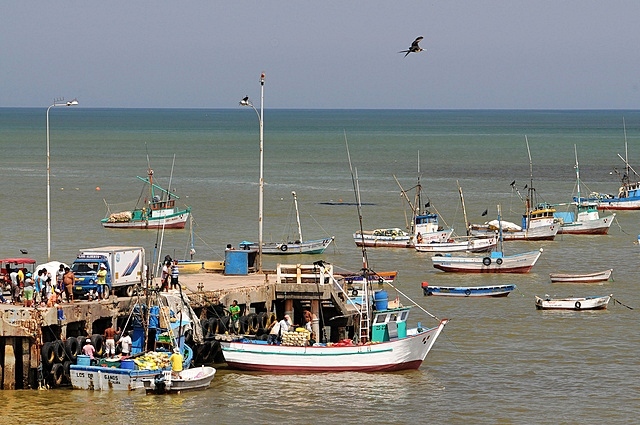 Rene explained that the complicated part was connecting with a local bus to get to the Peruvian border and then crossing into Peru at a city called Tumbes. 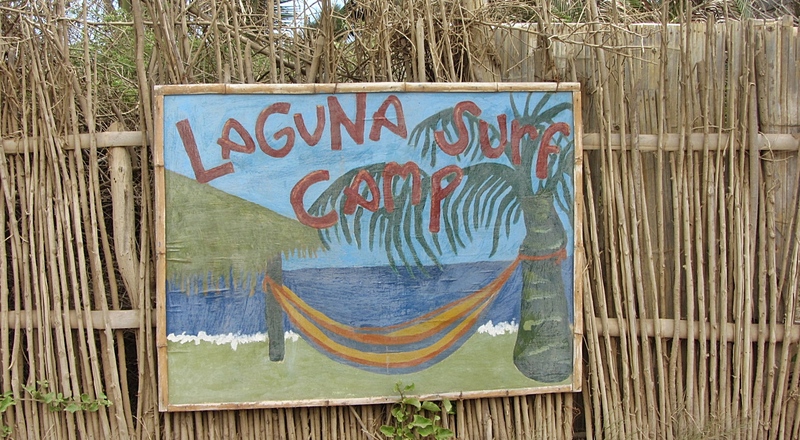 There was no direct connection to Tumbes, so the bus driver dropped me off at a solitary taxi stand along the highway. Taxis were waiting at the drop off and I caught a two-minute, $5 ride to the immigration point to get my passport stamped. Never in a million years could I have figured it out on my own. On the local bus a woman asked where I was going and told me Peru was very dangerous at night for a woman traveling alone – all I needed to hear, right? I always whine about border crossings, because they’re never fun, but it went well and I got a 90 day visitor visa stamped in my US passport. 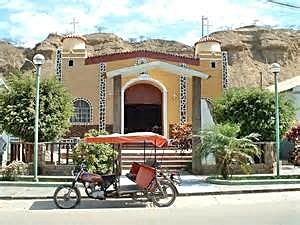 The next step was finding a trustworthy Peruvian taxi driver (no buses) to drive me from the immigration stop in Tumbes to Mancora – about a three-hour drive along the Chilean coast in the dark – yikes! I talked to an immigration guard and asked for help. We walked together toward a taxi and the guard asked the driver to present his “official” Chilean ID which I scrutinized. He agreed to drive me to my hotel in Mancora for 180 Peruvian Nuevos Soles (PEN) – about $60 – and loaded my luggage into his taxi. As we began the drive I realized that I was hungry not having eaten for over 12 hours. I asked the driver (Ricardo) to stop somewhere so I could get food. 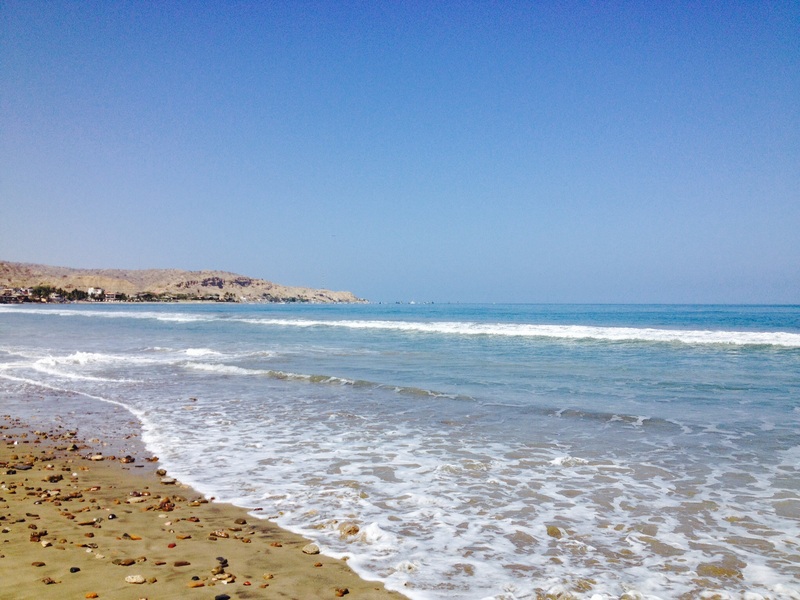 We went to a local café in Tumbes and had sandwiches and then continued on our way. 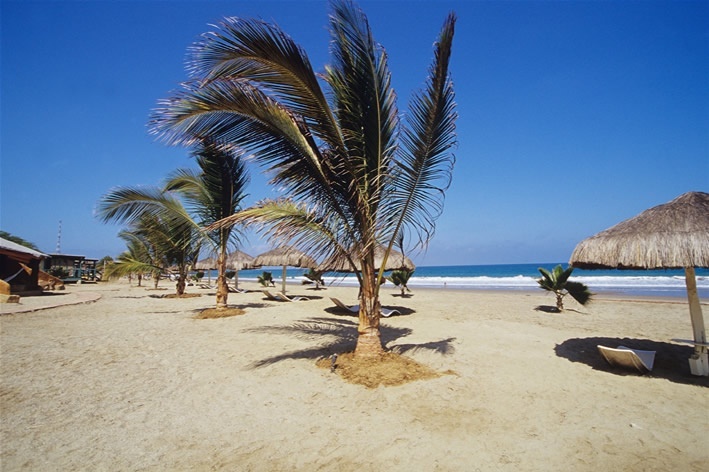 Tumbes is a vibrant city and at night the streets, parks, and major buildings light up creating a fun, festive atmosphere. During the moonlit drive from Tumbes to Mancora I could hear, smell, and faintly see the white surf along the coastal highway. 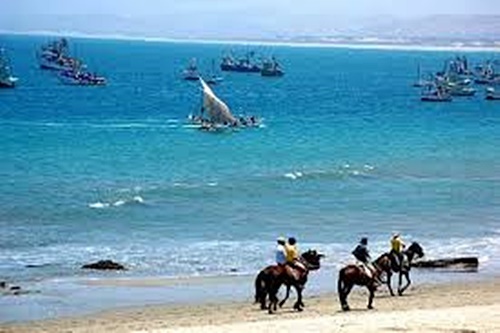 We passed through several small seaside towns, including Zorritos and Puente Punta Sal. 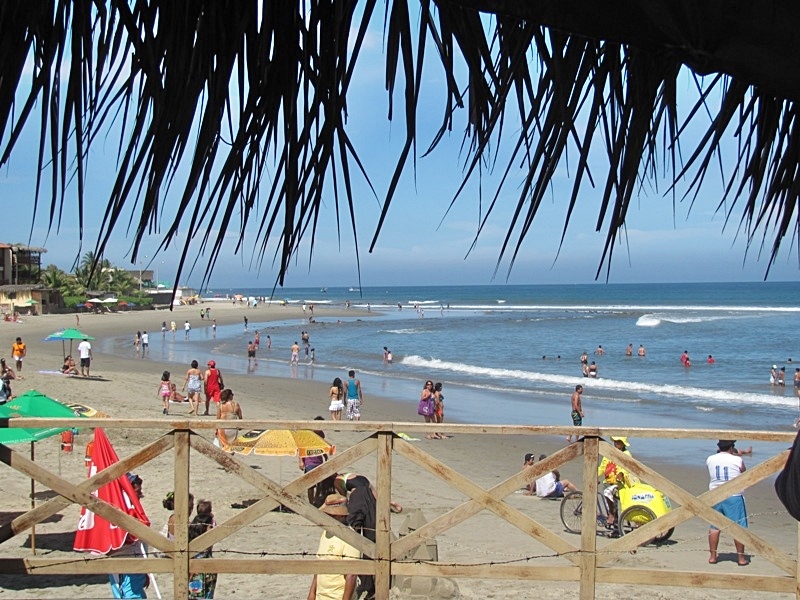 The beach towns along Peru’s northern coast are popular surfing spots. 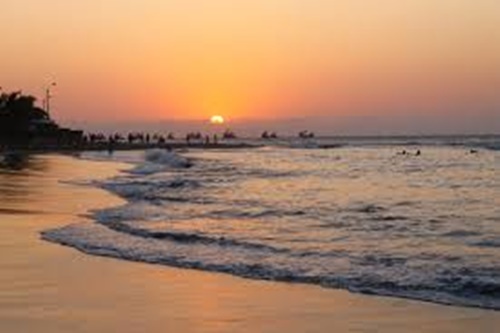 My hotel – NAIF – is a block from the beach, tucked away from the hubbub of Mancora’s main drag. 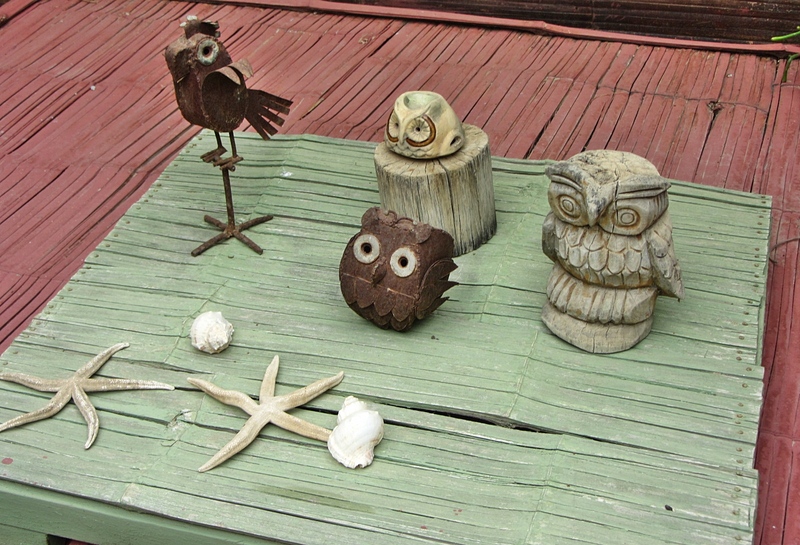 The bamboo bungalow / cabana is spacious and cozy with WiFi, a small private deck, hammock, and view of the beach. Mosquito netting is essential at night. 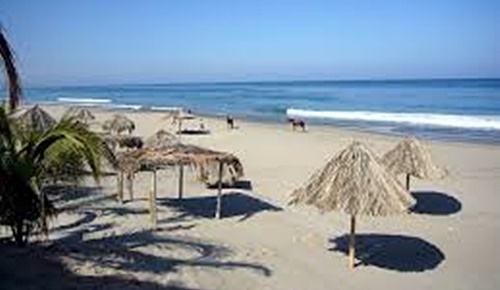 Mancora is the epitome of a small Chilean beach town and it’s a good place to recharge. It’s hot during the day (90s+) but cool at night. The afternoons are usually windy. The sun is very strong so you have to be careful and protect yourself. 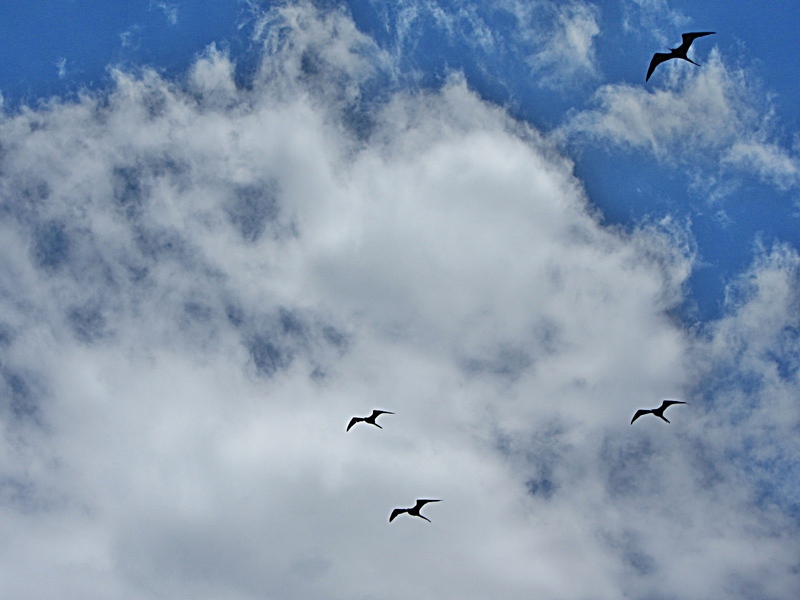 While exploring and learning my way around I noticed lots of beautiful sea birds at the beach. 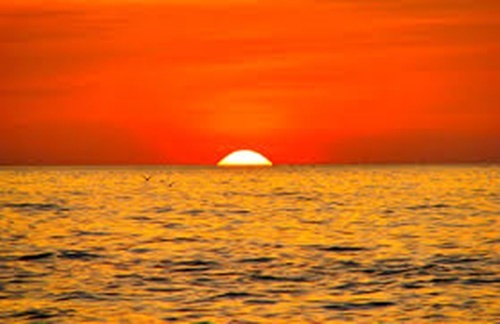 The strikingly gorgeous sunsets are very vivid! Hope to capture one before I leave – of course precise timing is important. I got spoiled in Ecuador where their currency is the US dollar and the electricity outlets are the same as in the US. In Peru there’s the adjustment of learning the local currency and using electrical adapters, but I’m not complaining. One Peruvian Nuevo Sol (PEN) equals about $0.33 and the cost of living in Peru is very reasonable. 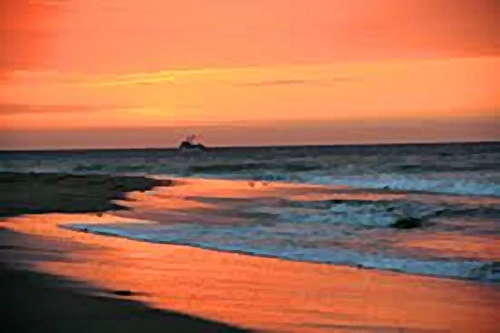 This entry was posted in Peru, South America and tagged Alamor Ecuador, Chilean Beaches, Ecuador, Huaquillas, Machala, Machala Ecuador, Mancora, NAIF Hotel, Peru, Peruvian Nuevos Soles (PEN), Piura, Revivencias Alamor, surfing, Tumbes, Zorritos by suemtravels. Bookmark the permalink. Sue, very smart to have the immigration officer check out the taxi driver, pero, mi amiga, no mas night bus trips and night taxi rides! Ten cuidado! Enjoy the beaches and have a few relaxing days!